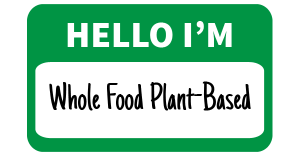 On October 31, 2016 I celebrated my 5th anniversary of living plant based. It’s been an amazing journey, which has featured extreme highs and success, but more recently had featured lows, dominating my life. While I haven’t been 100% PD (Protective Diet) compliant, I still follow the basic principles laid out by Dr. John McDougall; no meat, no dairy and no added oil. This was the basis ofgoing plant based I followed when I made the decision to change my lifestyle after reading his book.. The benefits for me have been nothing short of incredible. Yet what works for me, might not benefit others the same. The last 12-18 months I found my plant based lifestyle trending the wrong way. It was a cheat day here, 5 pounds there, another few pounds there but didn’t worry much about it. Then it became, “damn, why are my pants so tight?” only to realize I have returned to being a vegan junkie, forgetting the basics of plant based, whole foods, while favoring processed or fast food (no meat and dairy) as a quick fix to my hunger. Looking in the mirror I can see where that has lead me. Now at 200 pounds, I have gained by near 20 pounds over the last 2 years or so. I realized that 175 pounds was nice, it was just not possible to maintain. It was 180-185 pounds that seemed ideal. Running and lifting weights played into a slim and more muscular me, but little by little the running and weights fell by the wayside. The results, again can be seen in the mirror. Thankfully there are many inspiration people around me, some I work with others I know from running. Through discussion with them, I realize if I continue to do nothing, my health and lack of activity will continue to suffer. With the help of two co-workers I have decided to get that positive mindset and work towards a goal. Goals, since starting this lifestyle have helped me benefit, achieving small victories along the way before crossing the finish line. Yet, this lifestyle isn’t a race, there is no finish line, as I continue to learn every day, thanks to wonderful people like Julie Marie and Jerry Christensen, who promote a healthy, active “protective” lifestyle. I’ve also got a co-worker, Aaron, who just underwent surgery, but is back running, exercising and improving his health. He’s got bold plans to run every race that Brazen Racing offers (15 in all), in order to labelled a “Brazen Streaker” and be guaranteed his personal number for every race. Down south in Merced, I met Ofie at the Razorback Endurance Race a few years back and we have became friends, seeing other from time to time at different races, but this woman is amazingly fit. From rock climbing and cycling to running and paddle boarding, there isn’t an activity she doesn’t do! Finally my American River running partner, Brian, while we have only run those two races together, without him and his support I don’t believe I could have finished. Always a positive outlook on life and during our races, he has spurred me to our latest challenge, which will be termed “crazy” by many. Just 3 years ago, April 19, 2015 I ran my first ultra marathon on Mt. Diablo. 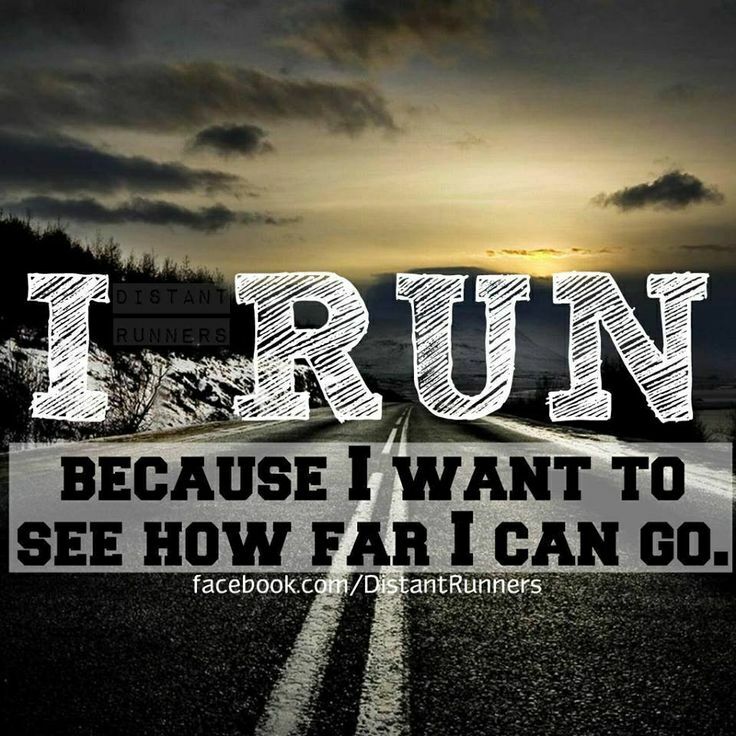 It was also the first time I experienced a “runner’s high” that left me with the desire to run even longer distances. While I was sore and left barely able to walk, I was yearning for something more. The following two years I participated in the American River 50 Mile Endurance Race from Folsom to Auburn, finishing 13:52 the first year and improving my time by :12 minutes the following year. This year, due to my schedule, the unavailability of my running partner and a lack of drive (but not desire) I missed the AR50. We also missed the Razorback Endurance Race, which took place last weekend but we look forward to our goal. Next year, nearly 48 weeks away I will run my first 100 mile race. Now 48 weeks seems to be a long time, one in which you could easily say, “I’ll start next week” only to find out you are less than a few months away from race day and you have yet to train. That won’t happen this time around. Once the sign up rolls around, I will commit, in order to have that goal on paper. While I don’t have a full training schedule built, the first 12 weeks will set the tone for the rest of the training. During this time I will build a proper base on which to run, the goal, getting up to 90 minutes of running as soon as possible. The running schedule will have me running 4 times a week for the first 12 weeks. Just like when I started running it will be short, :30 minute runs as I build up to :90 minutes before moving on to a longer duration or distance. Even now I know I could run a 3-6 miles with no problems, but don’t want to do too much, too soon and cause an injury or other setback. As with all activity, fuel becomes very important. 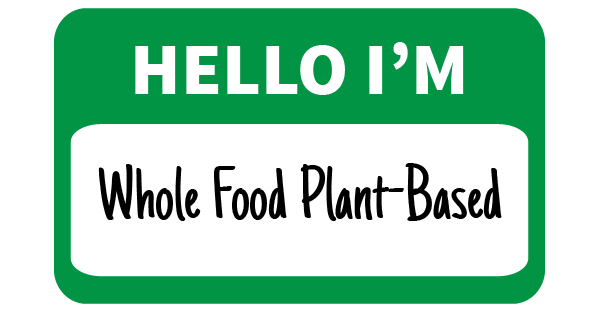 While I already follow a plant based lifestyle, it will be a Protective Diet, where I feed my hunger. Julie has an amazing array or foods, which taste good and are simple to create. Last night, I got started a day early by making Shanghai Cucumbers and Spicy Asian Noodle Salad. Clean, simple and full of flavor! No more grabbing food while at work or when on the run at a fast food restaurant. Some advanced planning and constant set up will help me achieve my goals. In conjunction with the running and eating, I am plan on getting back into the Stronglifts 5×5 program to build lean music and lose fat. I found this by mistake a few years back, but the results were proven, lifting weight I never thought possible! The feeling of strength is unparalleled! I have also starting IF or intermittent fasting using James Clears’ beginner’s guide. This is not the first time I have experimented with IF, learning about it back in April, 2013 (Read IF). Basically you have a “feeding window” of 8 hours, in which you consume all your calories. The next 16 hours you go without food. My feeding windows is between 11:00 AM and 7:00 PM. I know this goes against what a Protective Diet teaches, but I have found the results to be beneficial in my training, especially when it comes to the running. 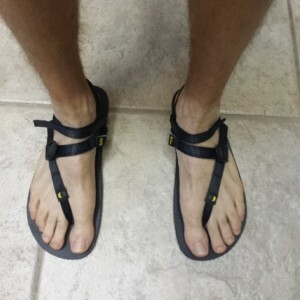 “Interesting enough I could feel a big difference when I ran 4 miles. 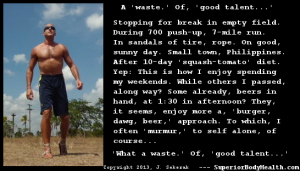 It felt better to run on an “empty” stomach rather than one that had food in from lunch or breakfast” (Read IF-fy). While the race director hasn’t set a 2018 date for the Razorback Endurance Race, it appears it will take place the end of May, as some runners voiced concerned about a potential conflict with the AR50. As soon as a tentative date is set, I will be able to update my training plan. 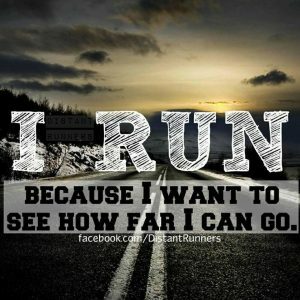 Approximately 24 weeks into training, I am planning on picking a 50k or 50 mile race to see where I stand before starting the 100 mile training. Thankfully I have an awesome trainer, Michael, who acted as my AR50 pacer last year, who pushed me over the finish line in record time. He has been contacted to provide input and feedback to my training plan. 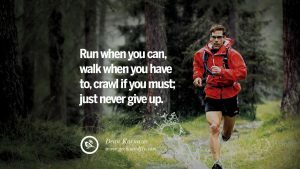 Currently, he’s in the midst of his own, personal training as he looks forward to the Tahoe 100 on July 14. He is a valuable resource of information and strategy as I look ahead to what the future holds. It’s all in the mindset. Having already achieved some amazing feats, I am excited at the prospects and what the future holds. No more excuses! It’s time to test the limits and see just how far I can push my body. Running 100 miles will be unlike any else I have ever attempted. With a positive attitude, strong conviction and support of others, nothing will prevent me from crossing that finish line. That title might sound a bit arrogant, as I look towards my next 2014 challenge, which takes place at Northstar at Tahoe in August, known as Tough Mudder (read Tough Mudder Experience). Last month, I achieved my biggest accomplishment to date, finishing a 50K on Mt. Diablo. It was an amazing run and now 3 weeks later I am still on a running high from that adventure. Now I have 3 months to prepare for my second Tough Mudder event. Since my left shoulder surgery in October, 2012 to reattached a bicep tendon I have not lifted weights. I suffered further complications by contracting frozen shoulder during my rehabilitation that required rest and a Cortisone shot to finally relieve the pain. Thinking I had maintained my strength from last Tough Mudder I tried to climb the monkey bars to show my son how it was done. I grabbed the left rung and pain shot up my left shoulder and I dropped to the ground. While I should have known better, the next 3 months will improve my strength and conditioning in order to participate in` Tough Mudder again, as well as get me into better shape than I was last year when I was challenging myself with Stronglifts 5×5, a program I still believe in. While I still own my power rack and weight set, those will supplement the full body exercises I am starting. Been reading more about running and improving my endurance and strength in order to run faster and further in hopes of challenging a 50 mile race next year. 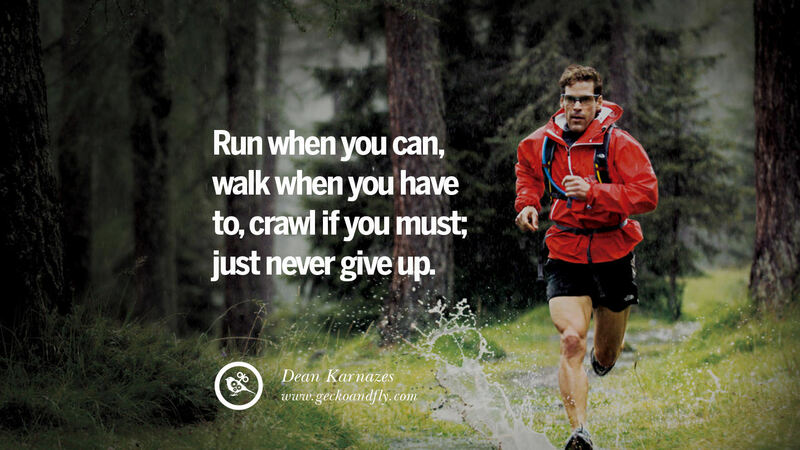 I want to focus training on my calves, glutes and abs in order to make me a better runner. At the same time I want to increase upper body strength by adding muscle and reducing body fat. These are typical goals for those who turn to weight training, they were for me when I began Stronglifts. I followed Jeff Sekerak onFacebook and bought Confessions of a Super Fit Vegan or ”I ate the food ‘of the gods,’ loaded up on carbs, forgot to count calories, and built the body of my dreams. You can too!” His book was bought as a motivator to build a better, healthier body using body weight exercises (no gym memberships as an added bonus!) to improve the overall conditioning of the body including all major muscle groups. His approach to weight training is known as extreme minimalist fitness. In Jeff’s words, “essentially a series of calisthenics done one after the other in a circuit-training style–designed to build strength, flexibility, and endurance without needing separate workouts for each” (source). I am hoping to detail the changes over the next 12 weeks if I am able to keep up regular workouts, which could take just 30 minutes a day with 7-10 miles of running every other day. Even now and then I would like to put in a long run of at least 20 miles in order to see how my body is responding to the changes it will be going through. I started real strength training using a barbell and plates on October 22 thanks to Stronglifts. This after spending 5 months working out in my garage on a Bowflex Revolution, followed by another 5 months doing a split routine at the gym with a co-worker, who was my lifting partner. Yet during those 5 months prior to him passing away due to a heart condition, we never used a barbell. We used dumbbells in some of our work outs, but never did we perform the 5 lifts that have made me stronger than I have ever been. Stronglifts.com is a beginners program, which can lead to other forms of barbell training from 3×5 and 3×3 to Madcow and Smolov Jr. I still consider myself a beginner and I am still adding week nearly each session to all my lifts. Sometimes I stall on a lift, which requires me to reattempt the weight a second and possibly a third time before I remove weight an attempt a lower weight in order to push through the previous weight I stalled at. This was the case with my squat, I was able to get through 185 lbs. and attempt 190 lbs. last week. I came up one rep short on my 4th set. I still considered this a failed attempt since I didn’t get my full 5×5. So I reattempted on Sunday and it was absolutely pathetic, as I went 2/2/2/2/1 in my 5 sets. I was exhausted and I could not drive up, out of the hole with 190 lbs. on my back. I was frustrated because I was so close the previous time. How could I go downhill so quickly in just 3 days? It took another set of eyes from the Stronglifts Inner Circle to see the errors of my way. I had been doing too many warm up sets. I misread the guide provided my Mehdi Hadim, owner of Stronglifts, instead of doing 2 reps at 45 lbs, I was doing 2×5 at 45 lbs. A difference of 8 reps. This was followed by 3×5 at 95 lbs. and 3×5 at 135 lbs. A difference of 26 reps. So I was added 32 warm up reps to my squat work out before I even got to my work out weight. It’s no wonder I was tired and straining to get through some of the heavier weights more recently. My warm up routine has now been modified and I currently do a total of 11 reps (2×45, 3×95, 3×135, 3×165) before starting my 5×5 at my work out weight. Yesterday, it made a world of difference, not that the weight was any easier, it was still a challenge, but unlike the previous weeks I had the power in my legs to drive out of the hole to the lock out position and easily accomplished my 5×5. This is the second mistake I have made while performing Stronglifts. The first was pointed out to me in January when someone mentioned that I “really loved the deadlift” as I had been doing 5×5 and not 1×5, as the program directs. This change allowed me to progress even further on the deadlift since it was only 1 set. It could have also been previous weights were easier to pull. Now that I am at 240 lbs. I have started using chalk and a mixed grip in order to hold on to the barbell with a stronger grip. Two mistakes and countless minor changes over the course 7 months and I feel as if I am set to make some very good gains in the coming weeks. Add to that the introduction of intermittent fasting, now on a regular basis, going 16 hours without food before having an 8 hour window in which to eat. The running has taken off, as I put in 27.57 miles last month and through today I am already at 25.28. Hopefully this trend continues through June and July as I continue to prepare for my first half marathon in August. Intermittent fasting has been going very well. The hunger pangs have not been bad at all. Work was challenging last week, but after posing a question to the Stronglifts Inner Circle, I have now modified my IF based on the Leangains Guide. This was a series of documents I read while investigating fasting, but for reasons unknown forgot all about the information that was provided. 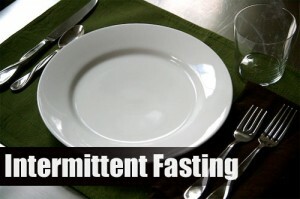 What is nice about intermittent fasting is the flexibility you have to modify your program so it fits your lifestyle. The goal again is to “get as lean and strong as possible” based off the Leangains summary to IF. Since work gets in the way of fasting and training my feeding window has been adjusted. Instead of not eating prior to working out, I now open the feeding window at noon until 1pm and eat approximately 20-25% of my total daily calories. I work out between 3-330pm, lifting weights, which is approximately 90 minutes or run for anywhere between 30-60 minutes (depending on mileage). My largest meals comes right after my work out. So far it consists of a protein shake (Vega Sport) followed by a full meal. About 2-3 hours after dinner I am eating another meal to round out my 3000 calorie day (on days I lift). Eating 3000 calories on a lifting day is still a challenge. I have only been successful twice since starting this little experiment. That means I need to get more food in while my window is open or I won’t see the the results I am looking for. On my running days, I still maintain a 2500-2700 calories diet. I have been following each workout up with a great tasting shake I call the Green Glop. Doesn’t that sound tasty? Much like Martin Berkhan talks about on Leangains, “skipping breakfast keeps hunger away far better than eating in the morning.” Doesn’t sound logical, does it? I can attest to being hungry an hour to 2 hours after my morning cereal or oatmeal. No more! While it might take time for your body to adjust to skipping this meal, the results could be beneficial, depending on what your goals are. You can read more if you are interested. For me, my goals are to increase the amount of lean body mass and decrease the percentage of body fat. The 4 months leaning up to February, 2012 were good, as I gained 5.5 lb. of muscle, but also added 1 lb. of body fat. That is a trade off I am willing to accept. Next month I have another hydrostatic test and hopefully I can see more positive results with the heavier weight lifting, running and adding the intermittent fasting to my lifestyle. As you might have read I have been experimenting with intermittent fasting (IF) this past week. Originally my intention was to use it 3 days a week in conjunction with weight lifting, following the Stronglifts program. As it turned out I started fasting Monday night after eating dinner. I had no food between 8PM and 12PM Tuesday. I ended up working out on an empty stomach, the premise being burning off fat while you exercise. After I was completed my lifting, 90 minutes later, I ate. I had no problems skipping breakfast and not eating until after I had worked out. Unfortunately, looking back on this I will have to adjust the feeding window or change my work out because it has been very difficult NOT to eat while at work. I have failed the last 2 days, but I also need to be flexible, as IF is something I am just experimenting with. I did have outstanding results when running. On Wednesday I put together 2 of my best miles, running a 7:57 to start and 2 miles later backing it up with a 8:16! All this while fasting. In fact running felt great, better than if I ate 3-4 hours prior to running. On Thursday I came back with another Stronglifts session. I was able to increase weights on the squat, overhead press and the deadlift. Much like running the previous day if felt great lifting on an empty stomach and I felt as if good progress was made. The left shoulder pain continued to be a problem as I cut the deadlift short by 2 reps. The real challenge would be the next few days as work would stand between IF and my work outs. Friday was difficult, but I held off until about 11AM before I finally decided to eat an oriental salad and a veggie roll with pad Thai noodles in it. I knew this would have an adverse effect when I went to run my 4 miles later in the day. Looking at my IF chart, moving the feeding window won’t accomplish anything. The problem is getting off work by 2PM and home 60 minutes later and then putting in a 60-90 minute work out or run. This means I don’t eat until 430PM or 5PM. By this time, the feeding window is well on it’s way to closing. Fasting for 16 hours is manageable, but adding an additional 4 hours is probably not the best idea. Interesting enough I could feel a big difference when I ran 4 miles. It felt better to run on an “empty” stomach rather than one that had food in from lunch or breakfast. Unfortunately, work gets in the way again and there is no way to incorporate weights or running while at work, I don’t have that sort of down time or equipment. Not quite sure what I will do, as I sit here contemplating how to fit a full 3 days of IF in.